The Statues of Liberty Return! Prince Hal, Hitomi and John Law are back. Saturday 28th they hit Arlenes Grocery. Looks like the show kicks off at 10 PM. The Statues of Liberty return. 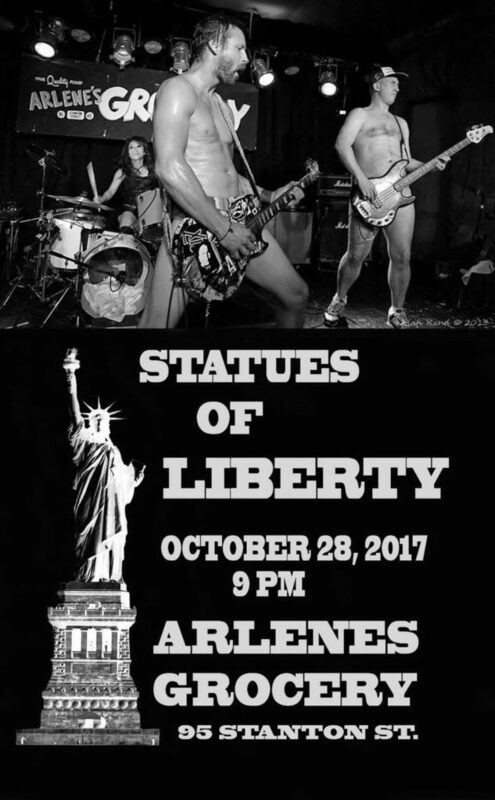 The Statues of Liberty return to Arlenes Grocery October 28th! Previous story Liza Colby – One More To Go!